The list of top timeshare rental resorts is out, and Paradise Timeshare Resale has listings at most of the top 25! Redweek.com puts out the list annually, highlighting the demand of rentals at timeshares and shows Florida is this year’s hottest destination, Marriott resorts are the go-to brand, and Disney’s Beach Club Villas continues its streak as the #1 favorite. Paradise Timeshare Resale is an authorized broker for the Marriott Vacation Club and have many of their top resorts available. Here is the RedWeek.com list of the Top 25. If Paradise Timeshare Resale currently has listings at those resorts, they are highlighted below. 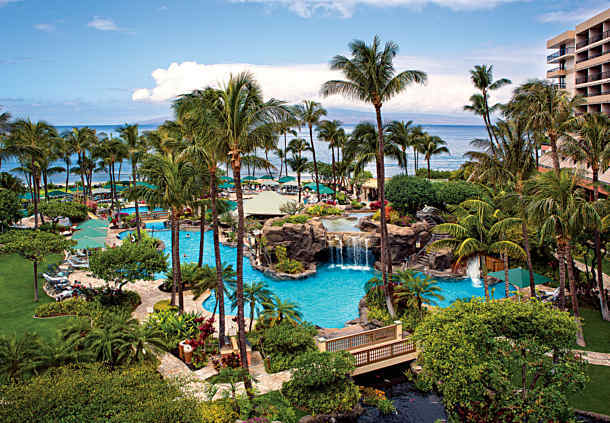 Marriott’s Maui Ocean Club – Discover Ka’anapali Beach, one of the most desirable destinations in Maui, Hawaii – and home to Marriott’s Maui Ocean Club. A tropical hideaway which is the ideal vacation retreat with luxurious villas. Check out our listings at this resort. Marriott’s Aruba Ocean Club – With its sun-dappled sands, wistful divi-divi trees and vibrant Caribbean sunsets, Aruba is the quintessential tropical paradise. Marriott’s Aruba Ocean Club is your ideal retreat in this sublime destination, surrounded by sugary white beaches and sparkling turquoise waters. Check out our listings at this resort. Marriott’s Ko Olina Beach Club – Marriott’s Ko Olina Beach Club welcomes you to the island of Oahu’s western shore with peaceful waterfalls, crystal-clear lagoons, and an intimate atmosphere spread over 642 luscious acres. Check out our listings at this resort. Marriott’s Newport Coast Villas – Perched high on a picturesque bluff overlooking the Pacific Ocean, the Tuscan-inspired Marriott’s Newport Coast Villas captures the distinctive style and opulence of famed Newport Beach. Surrounded by the spectacular California coastline. Check out our listings at this resort. Westin Kaanapali Ocean Resort Villas – Westin Kaanapali Ocean Resort Villas is located near Lahaina on beautiful Maui, Hawaii and is a stroll to famous Black Rock. This is a premier beachfront condominium resort with luxurious accommodations for your family vacation. Check out our listings at this resort. Marriott’s Maui Ocean Club – Lahaina Villas – Marriott’s Maui Ocean Club Lahaina Tower is situated in the heart of the Kaanapali Beach Resort. Enjoy stunning ocean, garden or mountain views from your private lanai and soak in a 3.5 acre superpool! Check out our listings at this resort. Hilton Grand Vacations Club (HGVC) at Hilton Hawaiian Village – Set aside a backdrop of stunning natural wonders, Hilton Hawaiian Beach Resort & Spa in Honolulu provides visitors with spectacular amenities and an unrivaled position in the heart of Paradise. Check out our listings at this resort. Marriott’s Waiohai Beach Club – More distinctively Hawaiian than any other island, Kaua’i is the idyllic setting for Marriott’s Waiohai Beach Club, a magnificent resort surrounded by stunning scenery. Experience the exquisite beauty of the “Garden Isle’s” valleys. Check out our listings at this resort. At Paradise Timeshare Resale, we are proud of the trust our clients put in us. Our A+ rating from the Better Business Bureau was earned because of the relationship we keep with those we work with – not just a sale, its a relationship. Call us at 800-996-2001 or contact us by email at timeshare-resale.com/contact-us.